One of things I like to do at reenactments is read. Once, after digging a slit trench with a fellow reenactor, I dug out a book I had on 1940s science from my pack and began to read it. We soon broke out into a wonderful discussion on the merits of of what-was-then 1940s science and technology. Fortunately, the Germans attacked way down at the other end of the line. 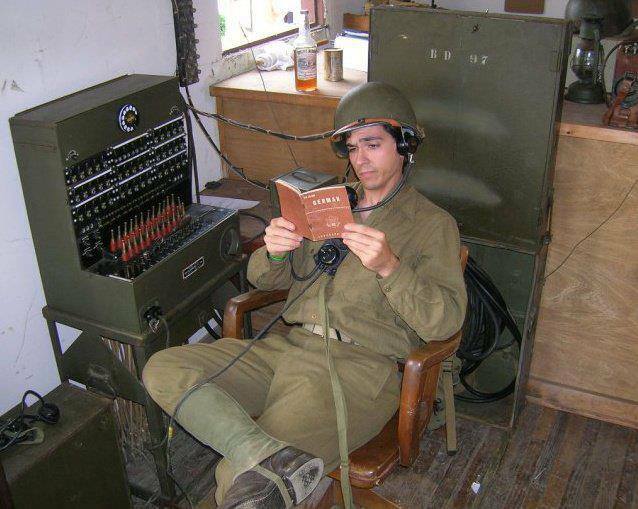 For the bibliophile reenactor there was not many options in terms of reading material. 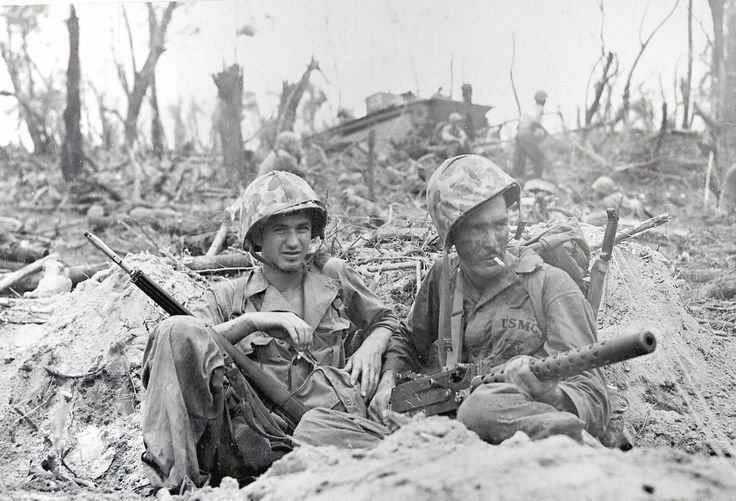 You can use period printed books such as Purple Heart Valley, Guadalcanal Diary, or any other WW2 era book. However, you run the risk of damaging these books. Indeed, the paper they are made with is of a lighter material (due to a War Production Board ruling in 1944) and more prone to tearing. WW2 Printed Books. BAD do not take into the field! Original magazines such as Yank or Saturday Evening Post are also an option. Again, same problem. These were printed on cheap and non-durable newsprint. Therefore, they are not designed to last and taking them out in the field is asking for trouble though soldiers at the time did use it for a variety of shall-we-say “hygiene solutions”. Reenactors have access to more modern cleanliness solutions. For the soldier who had access to travel material or likes to sing there are city guides and army song books. Again same problem. All original, all cheaply printed, all designed not to last. WW2 Soldiers City Guide Florence. BAD to take into the field! GOOD to take on leave to Florence! Alternatively, you could brush up on your language skills. Though you run into the same problem. Cheap books, not durable, and very limited copies produced compared to others. Finally, one could read your copy of FM 21-100 for the dozenths time. Though, this manual was printed by the millions and there enough copies around that you might actually be able to take this into the field, destroy it, and be able to find another one cheaply. However, there are some reenactors who do want to take out original copies to trash in the mud, dirt, and rain. Indeed, some individuals have reproduced newspapers and magazines but those are very costly to print especially in small numbers. Trashed WW2 Magazines that I take into the field. Some have pages ripped out, covers missing, or are generally defective in someway that warrants risking destruction in the field. Currently, there exists an option to buy inexpensive Armed Forces Edition/Armed Services Edition reproduction books to take out in the field. Much has been written about the history of these “pocket-sized books”(see links below) so I won’t dive too much into the history of the books. Note: The War Time Production Board limited the the margin of books to conserve materials and space. Books produced by the Legacy product do not need to adhere to such rulings and hence there books are longer and thinner. Note: The reason, I would guess, has more to do with modern printing costs and technology. 1. The Legacy Project Armed Forces edition books have a glossy cover. The original ones do not. 2. The size of the Legacy Project’s books are not 100% accurate when compared to originals. 3. Included in the Legacy Project’s books are facets of modern publishing such as Web address, modern printing dates, and modern addresses. 4. Originals had staples that kept the binding together. Staples were along the binding and either included the the books cover in the staple punch OR skipped the cover and started at the first interior page. The books cover would then be glued. The Legacy Project’s books lack the staple and it appears that the binding is glue only. 5. Original books included on the first interior page an outline of the books title in dotted, solid, or double-solid line. 6. Original books have a listing of other Armed Forces Editions on the back interior page. 7. Original books have an Armed Forces Edition statement on the back of the front cover. Armed Forces Edition and Legacy Project Comparison. Note the Armed Forces Edition statement on the top book. Armed Forces Edition and Legacy Project Comparison. Note the listing of other Armed Forces Edition books. As a reenactor I value historical accuracy but realize that we are not living in the past and must strike a balance between what is practical and what is ideal. The Legacy Project’s Armed Forces Editions look very good close-up and are within the unofficial reenactor rule of 3-feet. Though there are some things that can be done to help “de-farb” the book. More on that later. 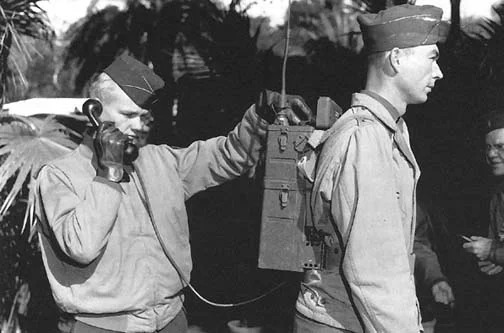 A collaborative effort between historical reenactors of how to use the SCR-300 Radio for World War Two Reenactments. The SCR-300 Radio is a backpack (or manpacked) FM radio designed during WW2 as an inter-company or regiment radio. I purchased several in the late 1990s during the heyday of Cold War surplus sales. SCR-300 / BC-1000 Original clips, TM 11-242, 1943. This was then replaced with a New Latch Directive in Jan 1945. The wired loops would fail to hold down the clip so a springed catch was added.